Chris Thile and Sarah Jarosz’s duet “Modern Friendship” expresses the intricacies of friendships and relationships in this politically volatile time. At this stage of his career, Chris Thile is no stranger to collaborations. The 36-year-old mandolinist and singer has made his mark on the bluegrass world and beyond. He’s made waves with his band Punch Brothers, recorded an album titled Goat Rodeo Sessions with cellist Yo-Yo Ma, violinist Stuart Duncan, and bassist Edgar Meyer, and has been one-third of beloved bluegrass trio Nickel Creek since the ’90s. This list doesn’t even begin to scratch the surface of the various bands, projects, and recordings he’s been a part of over his expansive career. One of his latest endeavors has been the take-over of longstanding NPR show “A Prairie Home Companion” – which now bears the name Live From Here. For a show full of story-telling and music, Thile’s quick-wittedness has made him a perfect fit. Late in 2017, Thile announced an upcoming solo album, comprised of songs written for and performed on the show. 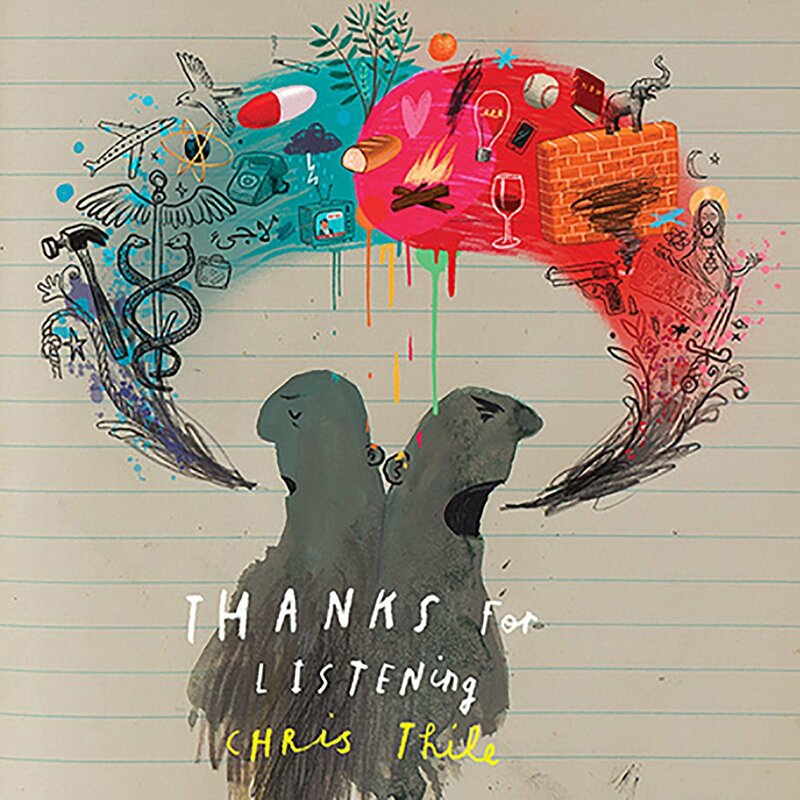 The ten song album, entitled Thanks for Listening (out December 8, 2017, via Nonesuch Records), is filled with gems only Chris Thile could write – he has turned bluegrass into something new, giving it influence from pop to classical and back again. The album is littered with politically themed songs, like “Elephant In the Room,” a not-so-subtle song about avoiding politics at family holidays (“Ever heard about a fellow named Ricketts? Yes! Anything to do with his politics? No!”). Several songs include features, with singers Gaby Moreno and longtime collaborators Aoife O’Donovan and Sarah Jarosz joining him. Falling three quarters of the way through the album is the beautiful “Modern Friendship,” a sparkling duet between Thile and Jarosz discussing the intricacies of friendships and relationships in this politically volatile time. The song begins with an angular mandolin line, twisting and turning over itself until Thile’s voice appears from the void, wishing his listeners well. The song has an anxious quality to it; the melodies are atonal, the accompaniment is frenzied and quick, and the lyrics are dense. There seems to be no concrete center to the song. This is perhaps intentionally representative of the political climate – even more specifically, the way we relate to each other within it. When Jarosz enters the song, she does so overlapping Thile’s vocal line. The duo’s vocal lines merge together and depart from each other, often turbulent, but more often ending in sweetly paired harmonies. The musicianship of both singers shines brightly on this song and their history of performing and recording together makes it all the more intimate. Their voices blend in a near perfect way, making each vocal line feel like they’re melding into each other. Though not explicitly stated, the song seems to be written in the hopes that people can settle their differences begin to come back together as a country. The pivotal lyric in the song seems to be about a friendship that’s perhaps dissolved: “And there the troubled waters took you far away from me.” When we come to the punch bowl at the end, the sentiment shifts. The passing of time has soothed the rift. The entire album is filled with moments as special as this song, and it’s a testament to Chris Thile’s talent as a writer and musician. It’s clear that he has a bright future as the host of Live From Here. Here’s to hoping 2018 brings even more music from this masterful artist.